The post MSIQ Graduate Saichand Mattapally Accepts Data Engineer Position with Amazon appeared first on Information Quality Program. 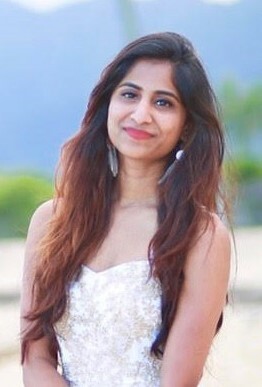 The post MSIQ Student Akhila Thirumalareddy Awarded 2019 Acxiom Diversity Scholarship appeared first on Information Quality Program. The post UA Little Rock Online Master of Science in Information Quality Ranked 15th by US News & World Report appeared first on Information Quality Program. 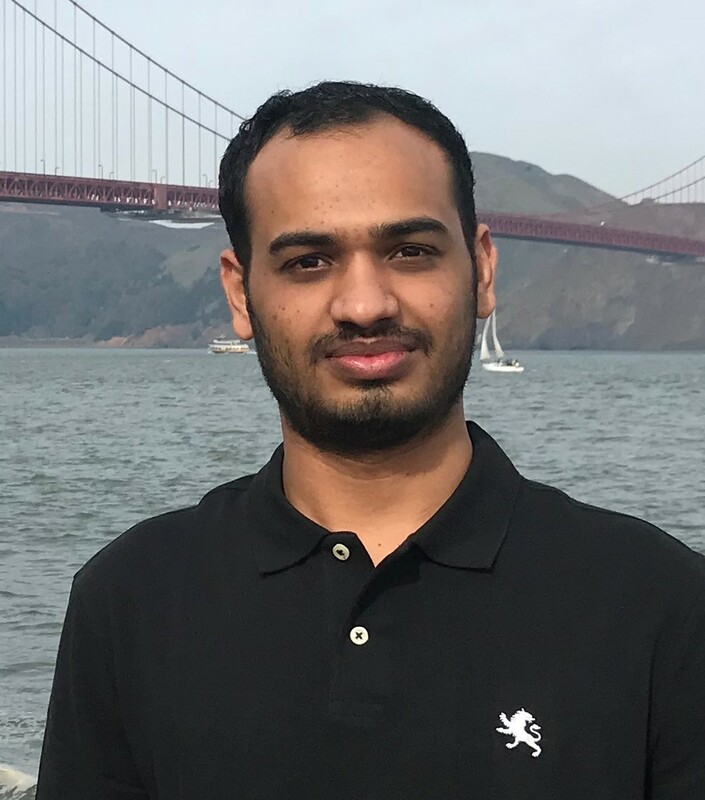 The post Information Quality Program Graduate Abhishek Kumar Helps Amazon Organize its Data appeared first on Information Quality Program. 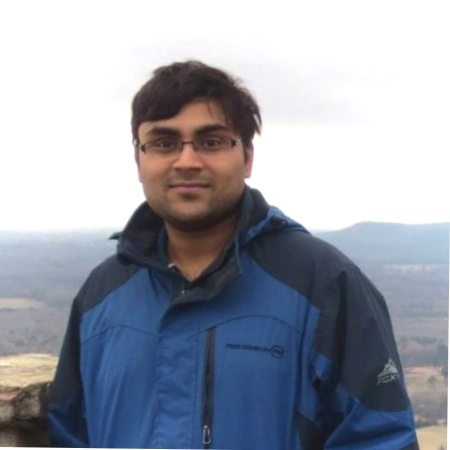 Abhishek Kumar is a 2015 graduate of the Master of Science in Information Quality (MSIQ) at the University of Arkansas at Little Rock (UA Little Rock). Abhishek recently accepted a Data Engineer position with Amazon in Seattle, WA. Amazon provides the world’s largest online retail service. Amazon also provides a number of other services such as audio and video streaming and cloud computing services. By revenue, Amazon is the largest internet company in the world. In this article, he shares the story of his education and work experiences in his own words. Established in 2006 by the University of Arkansas at Little Rock Donaghey College of Engineering and Information Technology (EIT) in collaboration with the Massachusetts Institute of Technology Chief Data Officer and Information Quality Program, the UALR Information Quality Graduate Program is dedicated to developing and delivering state of the art curriculum in information quality education, contributing new ideas to the body of information quality knowledge, and establishing information quality partnerships with the community, government, and industry. The UA Little Rock Information Quality Graduate Program is an international program matriculating students from all over the world at its Little Rock campus and in its eLearning Online Campus including students resident in Asia, Europe, and Africa. 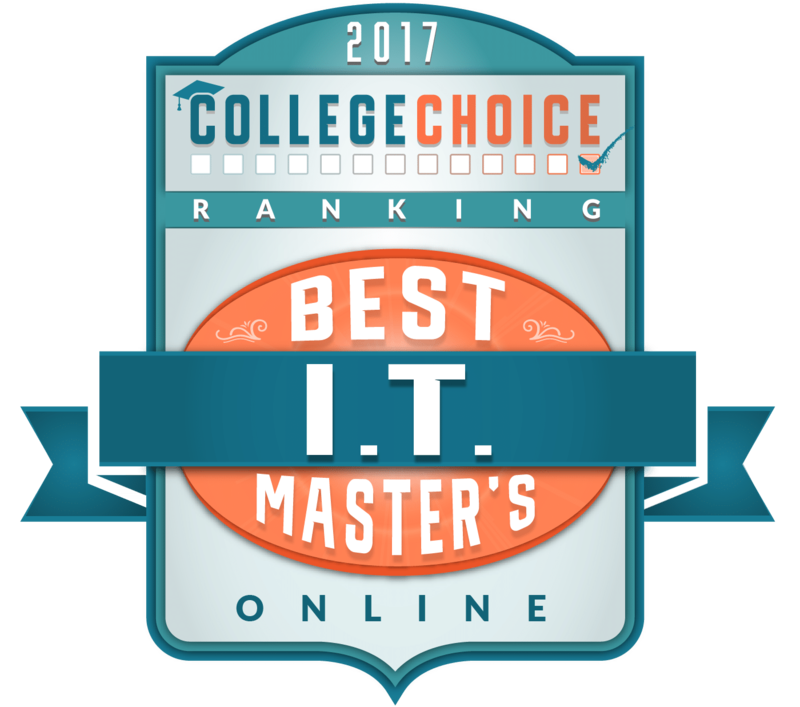 The UALR Master of Science in Information Quality program was ranked in 2017 by College Choice as one of 35 Best Online Master’s Degrees in Information Technology. In addition to the Master of Science in Information Quality, the program also offers a Graduate Certificate in Information Quality and an Information Quality Emphasis Track in the Computer and Information Sciences PhD program. The post UA Little Rock Graduate Builds Machine Learning Solutions for Bloomberg appeared first on Information Quality Program. 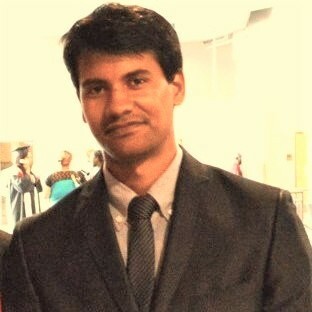 A December 2017 interview with Dr. Debanjan Mahata, a 2015 graduate of the UA Little Rock Computer and Information Sciences PhD program. Dr. Mahata was recently hired as a Senior Machine Learning Engineer by Bloomberg Limited Partnership. Bloomberg LP is a privately held financial software, data, and media company with headquarters in New York city and owned by Bloomberg, Inc. Question: How is Bloomberg using machine learning and what is your role? Answer: Bloomberg has been using a lot of machine learning to enhance its products and to build cutting-edge solutions. The company has been very generous in supporting research initiatives in academia as well, through its Data Science Research Grant program. Please, find attached a flyer that gives more information about Bloomberg’s machine learning initiatives and recruiting. I work as a Senior Machine Learning Engineer at Bloomberg, where I really enjoy my work. My role at Bloomberg allows me to work at the intersection of natural language processing (NLP), information retrieval, machine learning and software engineering. Entity extraction, entity resolution, disambiguation, keyword extraction, summarization, search and information retrieval from unstructured data are just some of the topics that interest our group. We not only research these challenging problems, but also build real-world solutions around them. The resulting applications ship as products in the Bloomberg Terminal, enabling our clients around the globe to make smarter, more informed decisions about their business and financial strategies. I play an important part on the team that solves problems related to natural language processing from unstructured text. I am currently working on text summarization and classification. In this process, I get to work with very senior researchers who are famous in their fields, especially when it comes to formulating a research problem and discussing potential solutions. At the same time, when it comes to integrating a solution in the actual product, I get to collaborate with very talented software engineers, who follow a careful process of rigorous validation. Bloomberg offers a very stimulating work environment for machine learning engineers like me. They not only provide a great experience for learning the best practices of software engineering, but also encourage its engineers to participate in machine learning conferences and workshops. Recently, they provided a sponsorship of MR2AMC: Multimodal Representation, Retrieval, and Analysis of Multimedia Content, a workshop that I am organizing along with some of my research collaborators in conjunction with the IEEE’s International Conference on Multimedia Information Processing and Retrieval. Question: What was your previous professional experience? Answer: Before joining Bloomberg, I was a Senior Research Associate at Infosys in Palo Alto, California. My primary role there was to do research and development work in natural language processing for the Nia Platform team. Some of the things I worked on included applying deep learning techniques to tasks such as phrase embedding, keyword extraction, text classification, text summarization and semantic similarities between text documents. Some of the research I did there produced state-of-the-art results and led to the invention of some novel techniques related to automated keyword extraction from text documents using deep learning methods. This led to the filing of patents and publication of research. Question: How did your education at UA Little Rock helped prepare you for this role? Answer: Whatever I work on today and have been doing for the past two years are related to my education and training that I received as a Ph.D. student at the University of Arkansas at Little Rock. Courses such as Data Mining, Entity Resolution, Social Media Mining, Research Methodologies and Information Quality Tools have immensely helped me dive deep into the realm of machine learning research, in addition to searching for answers to difficult problems. As an affiliate graduate faculty at UALR, I would love to motivate and guide students to learn and work on problems related to machine learning. I would also welcome collaborating on research with students and fellow faculty members. The Computer and Information Sciences PhD program is offered through the George W. Donaghey College of Engineering and Information Technology at the University of Arkansas at Little Rock. The information science and information quality tracks of the program are now available through the online eLearning Campus. The post Professor John R. Talburt to Address the International Master Data Quality Conference in South Africa appeared first on Information Quality Program. Dr. John R. Talburt, Acxiom Chair of Information Quality and Coordinator for the University of Arkansas Little Rock (UA Little Rock) Information Quality Graduate Program, has been invited to give the keynote address “Global Trends in Data Quality: Building a Quality-Oriented Organization” at the 2017 International Master Data Quality (IMDQ-2017) Conference, September 19-21, 2017, in Centurion, South Africa. IMDQ-2017 is an annual event for data leaders, data users, data analysts, data stewards, chief data officers, and data scientists who believe quality master data, big data, and business intelligence can turn data into an organizational asset. In addition to the keynote, Dr. Talburt will also participate as a panelist in a discussion on “Applying Data Quality Frameworks for Continuous Monitoring and Governance,” a presentation on “Data Governance: Ensuring Ongoing Data Quality,” and leading a workshop on the “Introduction to the Principles of Data Quality.” Other featured speakers include Professor Ismael Caballero from the University of Castilla-La Manch, Spain; Dr. Salomon De Jager, President of the PiLog Group, South Africa; Navruzova Luiza, Leader of the Russian Gosstandart; Edward Thomas, Executive Manager for Strategic Sourcing, Transnet, South Africa; and Jacques Rossouw, Managing Director, Financial Services Exchange, South Africa. Both Dr. Caballero and Dr. De Jager hold appointments as Affiliate Faculty Members in the UA Little Rock Information Quality Graduate Program. Established in 2006 by the University of Arkansas Little Rock Donaghey College of Engineering and Information Technology (EIT) in collaboration with the Massachusetts Institute of Technology Chief Data Officer and Information Quality Program, the UALR Information Quality Graduate Program is dedicated to developing and delivering state of the art curriculum in information quality education, contributing new ideas to the body of information quality knowledge, and establishing information quality partnerships with the community, government, and industry. 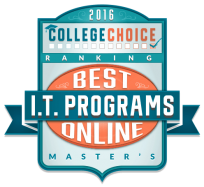 The UALR Master of Science in Information Quality Degree has recently been ranked by College Choice as one of 35 Best Online Master’s Degrees in Information Technology. The post College Choice Ranks the UA Little Rock Information Quality Master’s Program Among the 35 Best Online appeared first on Information Quality Program. The post Information Quality Program Joins UA Little Rock Online Campus – Reduces Tuition for Remote Students! appeared first on Information Quality Program. 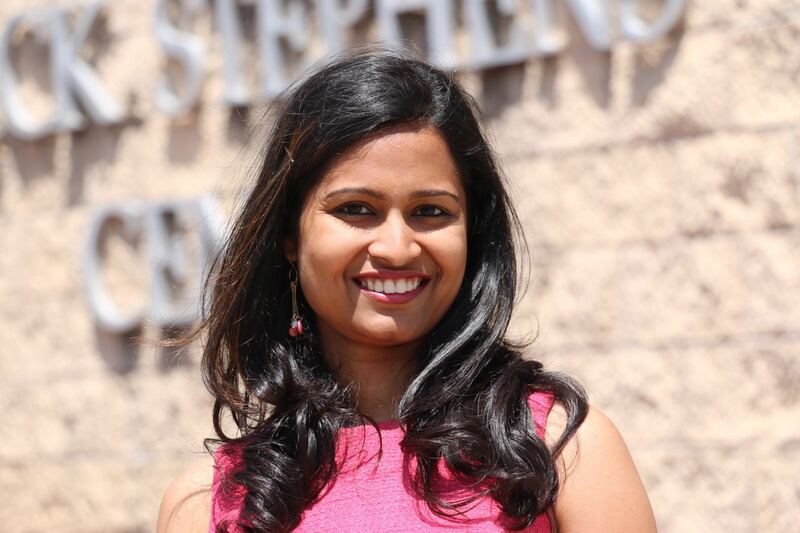 The post IQ Graduates at Work – Sneha Jetti: From an Intern to Full-Time Developer at SpotRight, Inc. appeared first on Information Quality Program. The post UALR Information Quality Faculty Participate in ISO Subcommittee Meeting in Seattle appeared first on Information Quality Program. The International Organization for Standardization (ISO) has developed thousands of standards over the years. The ISO 9000 standard for Quality Management has been one of the most widely adopted, but only recently has ISO turned its attention to standards that specifically address data and information quality. In 2009, ISO published the 8000 Part 110 (8000-110) standard titled “Master data: Exchange of characteristic data: Syntax, semantic encoding, and conformance to data specifications.” ISO 8000-110 is narrowly defined and only provides a standard for the transmission of master data between systems. However, the scope of ISO data quality standards is broadening as more parts directly related data quality are added to the 8000 standard. The development of the 8000 standard is under the aegis of Working Group 13 (WG13) of Sub-Committee 4 (SC4) of ISO Technical Committee 184 (TC184) on Automation Systems and Integration. 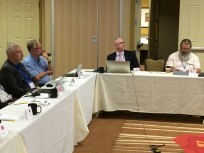 Much of the current focus of WG 13 is on the 60 Series of standards including Part 60, Data Quality Management Overview; Part 61, Data Quality Management: Process Reference Model; Part 62, Data Quality Management: Organizational Maturity Assessment Model; and Part 63, Data Quality Management: Measurement Framework. The Information Quality Graduate Program at the University of Arkansas at Little Rock (UALR) was well represented at the 72nd plenary meeting of SC 184 held in Seattle, Washington, October 3-7, 2016. Dr. Salomon De Jager (left in photo below), from South Africa, is an Affiliate Faculty Member of the UALR IQ program. Dr. Timothy King (third from left in photo below), from the United Kingdom, is the convener of WG13 and also a UALR IQ Affiliate Faculty Member. 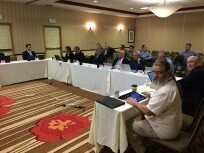 Dr. John R. Talburt, the UALR IQ program coordinator and Information Science Professor also attended as a member of the U.S. Technical Advisory Group (TAG) to ISO. Also in attendance was Danette McGilvray, a noted data quality author, consultant, and frequent guest speaker at UALR. Other members of WG13 include representatives from China, Korea, France, Spain, and Germany. Established in 2006 by the University of Arkansas at Little Rock (UALR) Donaghey College of Engineering and Information Technology (EIT) in collaboration with the Massachusetts Institute of Technology Chief Data Officer and Information Quality Program, the UALR Information Quality Graduate Program is dedicated to developing and delivering state of the art curriculum in information quality education, contributing new ideas to the body of information quality knowledge, and establishing information quality partnerships with the community, government, and industry. The UALR Master of Science in Information Quality Degree has recently been ranked by College Choice as one of 50 Best Online Master’s Degrees in Information Technology Programs.